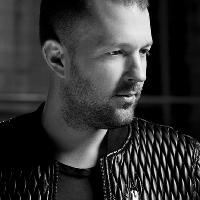 Fabian Bohn (28), better known as Brennan Heart has been active as a DJ and producer for several years now. At age 14, his passion for electronic music started to grow. Within a few years he learned to master all facets of studio technique and producing. His producing efforts did not go unnoticed and at age 18 EMI Music offered him a contract, allowing him to step into the music business and become a full time producer. During the same period, Brennan Heartâs interests expanded beyond the borders of just producing and DJ-ing. In 2001 he was offered a chance to start his own label and manage its creative aspects. The diversity of the styles that Brennan Heart was interested in, caused him to produce different types of music over the years such as; Hardstyle, Techno, Hardtrance and Techtrance. Many of these productions were released as side projects. Among these are "Blademasterz","Unknown Analoq", "Superwave", "Bassdriver", "Orionâs Voice", "Misdome Project", "Shoplifter" and "Meredith". Also fascinated by Techno Music, he frequently co-produces with DJ Montana (Blackhole) on his releases. His definite strong suite is producing the more energetic musical styles and his vision is also to generate a unique and mysterious sense of energy within each production, and to convey this energy onto the dance floor and the audience. His unique style was noticed within the scene and by fellow DJ/ producers. For the last 1.5 years he has gotten request after request to create remixes for other producers, e.g., The Horrorist, Philippe Rochard, Zemtec, Technoboy, Deepack, The Prophet & Duro. Brennan Heartâs career as a DJ is still in the lift. When DJ-ing, he finds it important to offer an original sound with each set. 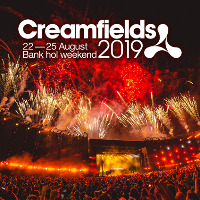 He has played on parties all over the world, like on Hardbass, Defqon 1, Q-Base, X-Qlusive, Qlubtempo, Audio Attack, Outland, Matrixx, Impulz Outdoor, Frequence, Metropolis [FR],Oxa [SWI] The Mission [Chicago, USA], Club Matrix [IRE], Room @ The Top [SCO], Baya Beach Club [CUR], New Bambu [GER], Goliath [GER], Klub Kaos[UK]. You can expect to hear much about and of this young DJ/ producer in the coming future. His target is to continuously bring his own and unique sound in both his productions and during his performances as a DJ. One of Brennan Heartâs last productions was in coalition with The Prophet. In 2006, several other coalitions have been formed that will be revealed later this year.